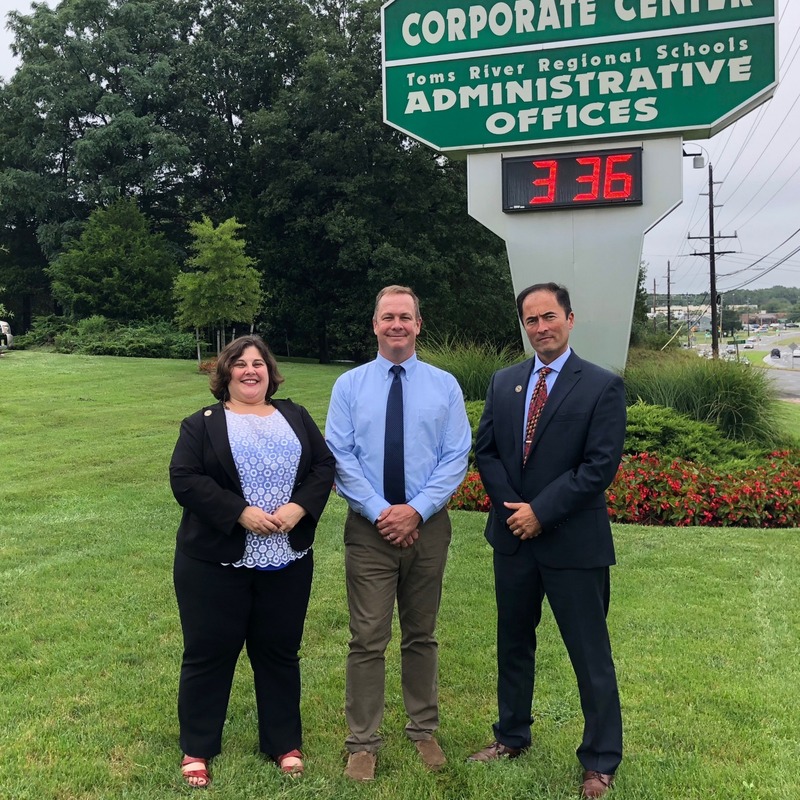 Sept. 12, 2018-- Chris Cox of the Department of Education's Office of Innovation and Educational Technology spent the day on September 11 touring schools and discussing district initiatives including grants, partnerships, future ready teaching practices, and renovated spaces. He remarked on the positive culture in hallways and classrooms, and affirmed the DOE's commitment to supporting and sharing such practices across the state. Cox intends to represent the DOE, along with over 100 other individuals and organizations, at the district's fourth annual Jersey Shore Makerfest on Saturday, October 20. Cox is pictured right with Makerfest founders Dr. Marc Natanagara, Assistant Superintendent, and Tiffany Lucey, Supervisor of Ed Tech.